Branding and packaging design for a new caffeinated water – JUST – the first of its kind available in the UK. I love this! So friendly, clean and natural. Where can I buy some?? Pretty weak, looks like a student project. Three cheers for mediocrity. Just my two cents but “looks like the name of the product is JUST” seems a pretty redundant comment. The name is JUST, like it says in the description. Hierarchy is bang on. Like the overall design, very accessible and obvious what the appeal is. Ignore the negative know nothing. Everything below “Natural Caffeine” goes a bit downhill, copy and composition alike. The concept is neat..would definitely make a statement on a shelf next to a bunch of clean and minimalist packaging. Is this sold in specialty stores only? I agree with Trevor. Pure Water and Natural Caffeine need to be the first things you see. Right now, Pure Water is the lightest type on this thing. Just… too much going on. Do you really need to say zero calories and 100% natural if it is Pure Water? And, really, it is not pure water if caffeine has been added to it. 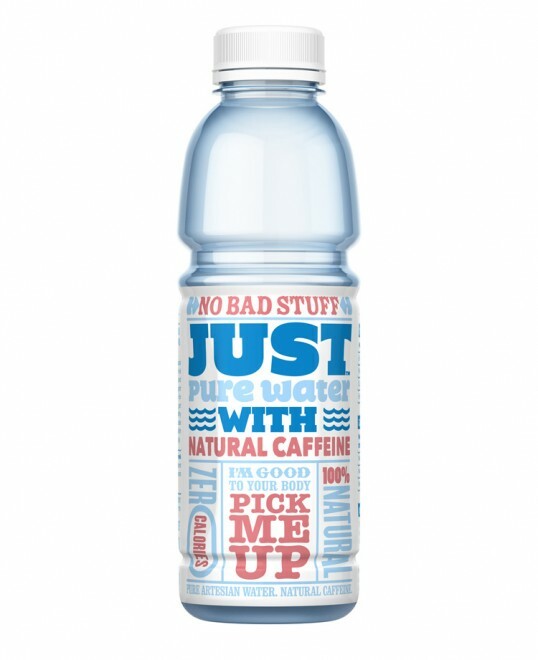 @Tim …..And, really, it is not pure water if caffeine has been added to it.